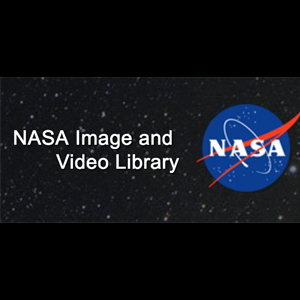 NASA has launched a new Image and Video Library. Despite continuous shakeups in the American government and cuts to various federal programs, NASA has continued building out a strong online presence. The organization, which was founded in 1958 as the United States’ civilian program for space exploration, is making a serious effort to educate the public about the latest updates in space and science research. For anyone interested in space, and mankind’s future exploring the universe, NASA’s website offers a wealth of worthwhile material. NASA’s latest website is Images, a page containing a searchable database of all the organizations photographs. The site also lets visitors search for video and audio clips. The NASA Image and Video Library contains tons of awesome photographs — especially if you know what you’re looking for. 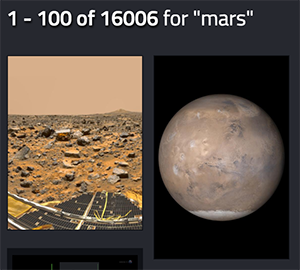 If you type “Mars” into the search bar, for instance, the site returns over 16,000 images and videos of the red planet. You can download the images, or share them on social media. 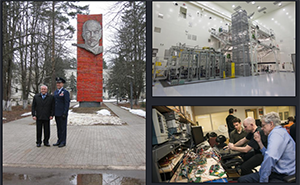 There’s also the possibility to explore the library’s homepage, which has a hodgepodge collection of images and videos relating the government agency. The site is a tremendous effort into making NASA more transparent to a worldwide public audience. If you have even just a casual interest in space exploration, it’s worth exploring the site as well.